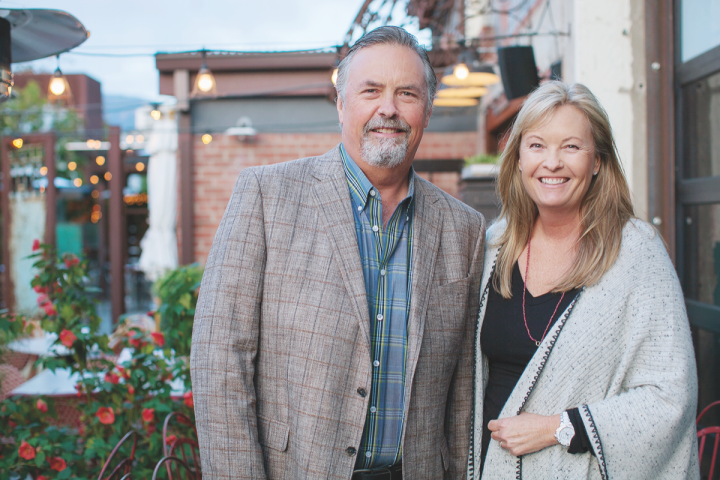 Fess Parker Winery, which built Santa Barbara's renown, spreads its wings. Late actor Fess Parker founded his Santa Barbara winery in 1989, and played a key role in building the region’s reputation as a producer of upscale Burgundian varietals. The flagship Fess Parker brand currently has annual production of around 65,000 to 70,000 cases, led by its Santa Barbara Chardonnay ($18 to $19 a 750-ml.) and Sta. Rita Hills Pinot Noir ($25 to $30). The company’s second-generation—including Fess’ son, Eli Parker; daughter, Ashley Parker-Snider; and son-in-law, Tim Snider, who’s president of the winery—has been venturing into new areas, including a recent sparkling wine offshoot, as well as the upcoming launch of a range of high-end Napa Cabernets. Fess Parker’s new Napa line, Addendum, comprises Stagecoach and Skellenger Lane single-vineyard Cabernets (the latter sourced from the Beckstoffer Georges III Vineyard), as well as a Napa Valley Cabernet that’s 60-percent Georges III and 40-percent from the Stagecoach Vineyard. These three wines, all priced at around $95, are debuting in August through direct-to-consumer and select on-premise channels, combining for about 500 cases for the inaugural 2014 vintage. A Stagecoach blend of 56-percent Cabernet and 44-percent Syrah will also launch at just under $90. Skellenger Lane is located in Rutherford, not far from the Oakville border to the south. Stagecoach, a 1,300-acre site on Pritchard Hill with 600 acres planted, was acquired by E. & J. Gallo earlier this year. As Napa’s largest contiguous vineyard, it also supplies fruit to Orin Swift, which Gallo acquired last year. In addition, it supplies another Gallo winery in Napa, Louis Martini. The vineyard’s client list has more than 90 wineries, including Alpha Omega, Caymus, Duckhorn and Pahlmeyer. Given the potential impact of the Gallo deal, Snider says he and his team are exploring other potential vineyard sources for future vintages in case the need arises. Meanwhile, Eli—who serves as CEO of parent company Fespar—and Ashley have collaborated on a recent sparkling wine project, Fesstivity, featuring méthode traditionelle bubblies made from Sta. Rita Hills Pinot Noir and Chardonnay. Launched in 2015, Fesstivity is growing quickly from a small base at a price point of $40 to $50, with current volume at around 2,000 cases. The Fess Parker portfolio also includes Epiphany, which is focused on Rhône varietals and sells at $25 to $50, with a total volume of around 7,000 cases. There’s the Central Coast–sourced Parker Station Pinot Noir ($15) as well. “Parker Station has become a nice revenue driver and by-the-glass play,” says Snider, noting that the brand is now at around 25,000 cases. Fess Parker has also been active on the hospitality front, opening the 50-seat restaurant The Bear and Star at its Wine Country Inn in Los Olivos, California, this spring. The new restaurant is focused on farm-to-table fare, featuring livestock and vegetables from the nearby 714-acre Fess Parker Ranch. The family—which has a third generation beginning to work in the business—is also partnered with Hilton on The Fess Parker resort, a 360-room waterfront property in Santa Barbara.